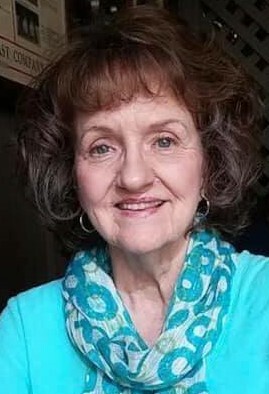 Mrs. Pauline Elizabeth Draughn Ransdell, 78, of Mount Airy, passed away early Monday morning, February 11, 2019, at Wake Forest Baptist Medical Center in Winston-Salem. Mrs. Ransdell was born December 8, 1940, in Surry County, the daughter of the late Albert and Bertha Wood Draughn. Pauline graduated from Dobson High School in 1959. She retired from Northern Hospital of Surry County after 45 years of service and was a faithful member of Calvary Baptist Church. She is survived by two sons and daughters-in-law, Dan and Tracey Speight and David and Scarlett Speight, all of Mount Airy; a stepdaughter, Ginger Ransdell of Indianapolis, IN; five grandchildren, Brooke Speight, Brianna Speight, Dalton Quesinberry, and Kyndal Quesinberry, all of Mount Airy, and Amber Watts of Ocala, FL; a sister, Mary Ruth Hemmings of Billings, MT; a brother and sister-in-law, Clyde and Dare Draughn of Bowie, MD; and a special niece, Dianne Morgan of Billings, MT. In addition to her parents, Mrs. Ransdell was preceded in death by her husband, David Keith Ransdell; a sister, Minnie Mae Coe; and a brother, Jobie Draughn. A service of worship and celebration of Pauline’s life will be held Friday, February 15, 2019, at 2:00 PM at Calvary Baptist Church, with the Rev. Alex L. Martin and the Rev. Alex Bracey officiating. Burial will follow at Skyline Memory Gardens. The family will receive friends Thursday from 6:00 until 8:00 PM at Moody Funeral Home in Mount Airy. At other times, the family welcomes friends to the home of David and Scarlett Speight at 118 Sportsman Trail, Mount Airy. In lieu of flowers, memorial contributions may be made to the Mount Airy Rescue Squad, P.O. Box 1053, Mount Airy, NC 27030.